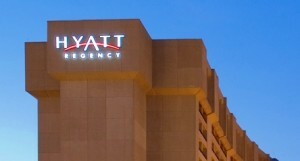 Reserve your room now at the Hyatt Regency DFW International Airport for the Lutheran Week events August 11-14, 2015. The room rate is $115.00 per night, plus taxes and fees, UNTIL JULY 21, 2015. Among the items of business before the 2015 Convocation are several constitutional amendments and elections for Bishop (four-year term), three members of the Executive Council (1 lay for a two-year term; 1 clergy and 1 lay for a four-year term) and two members of the Court of Adjudication (clergy or lay for a four-year term). 17.01 The Executive Council may propose amendments to this Constitution to be considered by a Convocation. No later than 90 days before the beginning of the Convocation at which it is to be considered, the Bishop shall give written notice of each amendment proposed by the Executive Council. The approval of such an amendment shall require a two-thirds majority vote of the delegates present and voting at such Convocation. A black-lined copy of amendments proposed by the Executive Council for consideration at the 2015 NALC Convocation may be downloaded by clicking here. The proposed constitutional amendments are all related to the change in relationship between Lutheran CORE and the NALC. Earlier this year, Lutheran CORE amended its constitution to remove all references to specific Lutheran denominations. Those amendments included removing references to the Joint Commission on Theology and Doctrine, which had been a joint commission for Lutheran CORE and the NALC. It is appropriate to remove “joint” from the NALC constitution for the following reasons: 1) Lutheran CORE is no longer participating as an organization in the commission; 2) the commission’s primary responsibilities have always pertained solely to the NALC; and 3) the NALC is now providing sole support for the commission. Most of the proposed amendments are simple deletions. The amendments to Article 12.01 propose an amended procedure for appointing members of the commission, which would allow for the appointment of non-NALC members. They could be individual Lutheran CORE members who are members of another Lutheran church. The proposed amendments to Articles 12.02 and 13.02 provide more concise and clear wording. Should these constitutional amendments be approved by the Convocation, it will then require ratification by 2/3 of NALC congregations voting within six months of the conclusion of the Convocation. Under the NALC Constitution, congregations are empowered to submit nominations for all positions to be elected at Convocation. The nominees for Bishop will be all those pastors nominated by a congregation or a Convocation delegate and willing to serve. The Nominating Committee will select and propose a slate of nominees for the Executive Council and Court of Adjudication, and will also consider nominations from individual members of the NALC for those positions. Initial nominations were to be submitted to the Nominating Committee no later than May 11, 2015. The 2015 Nominating Committee presents the candidates named below for positions to be elected at the August Convocation. Please send additional nominations to nominations@thenalc.org by June 28, 2015. Download the nominees’ biographical information by clicking here. For a brief description of the duties for Bishop, Executive Council and Court of Adjudication, click here.